Today, we are extremely proud to show off the all-new, completely redesigned SnapPages 3. We were one of the first drag and drop website builders when we launched back in 2008 and a lot has changed in the world of websites since then (R.I.P. Flash). In that time, mobile browsing has exploded and become the norm (rather than the exception) and the world has become flooded with gimmicky website builders. 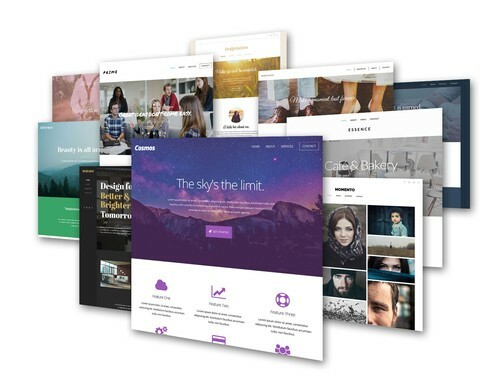 What the world needs now is not another website builder - just a better one. That's what led us to ask the following question: "If we were to take everything we know about website building and create a solution from the ground up to meet the needs of today, what would that look like?". The answer is SnapPages 3. Simplify. More than anything we wanted to simplify the entire process of building a website by reducing the amount of steps it takes from the time you sign up, to the time you have a beautiful website. Some features needed to be improved, others needed to be consolidated, and some just didn't need to be there at all. Products have a habit of getting bloated overtime with too many features and we didn't want that to happen with SnapPages. Instead, we wanted to get back to the core of the website builder, and do that better than anyone else. Mobile compatibility was not an afterthought or an add-on in SnapPages 3. We don't just have a few responsive templates... everything is responsive! 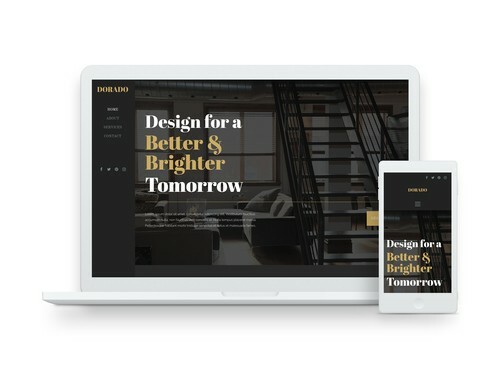 Every aspect of it was designed from the ground-up to adjust and resize automatically so that your website will look great on any screen size. This means there's not a separate mobile version. Instead, there's just one website that works great while being viewed from any screen size. You even have additional control over what's displayed on different screen sizes to allow you to customize the mobile experience even further. For instance, you can choose to hide content from certain types of mobile devices, only show some content on tablets, etc. Mobile browsing has fundamentally changed the way we interact with web content. Clicking through pages has been replaced by scrolling through content in order to make sites easier to view on mobile devices. Our page sections make it easier than ever to create longer-form pages with just a few simple clicks. There's a lot more to our sections than just grouping content. Each section can have multiple slides so that you can easily present additional content to your visitors. This is great for creating large formatted slideshows, rotating through quotes, or providing tabbed content. The drag and drop editor is at the heart of our website building experience. While the editor will feel familiar to those of you who have used SnapPages in the past, it has been redesigned to be even easier and more streamlined than before. For instance, you can now easily jump back and forth between editing page content and your theme's design in the same editor. You can also preview what your website will look like on tablet and mobile screens with a single click. Our new responsive system required us to go back to the drawing board with our themes. We've created several brand new modern themes, and there's a lot more on the way. The theme editing process has been simplified so that it's much quicker and easier to customize the look of your site. With our new Advanced account type, you can customize almost every aspect of your theme, all within the editor, and without the need for any coding. We spent a lot of time talking with bloggers and asking them what their dream blogging platform would look like. We have used that information and input to build our blogging tools. 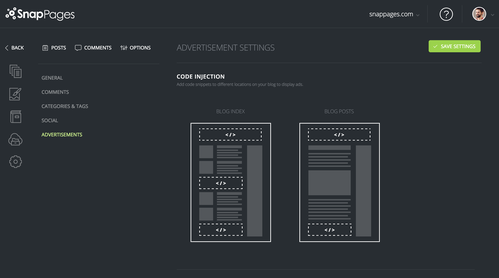 Some of the new features include blog index page layouts, advertisement injection points, and much more. Additionally, each blog post can now have it's own thumbnail image associated with it. This makes for a better visual experience for your visitors, and helps with sharing your blog posts on sites like Pinterest. Generic contact forms are a thing of the past. Our new built in form builder allows you to customize what information you want to gather from visitors. 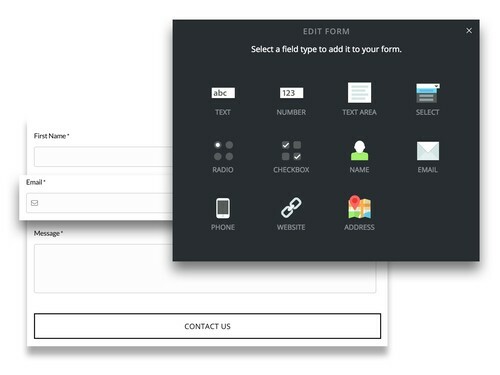 There are many pre-formatted input types to choose from, and of course, all the forms are fully responsive so they will be easy for your site's visitors to fill out from any device. What does this mean and why should you care? Our whole user interface has been simplified so you can spend less time jumping back and forth between different features and more time on getting straight to the core features you use the most. 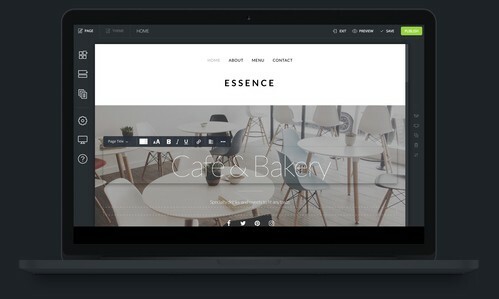 Our page editor and theme editor are now combined into one. Image and other file storage management is built directly into the Dashboard instead of separate apps. These are just a few examples, but you get the idea. What about existing SnapPages accounts? The good news is that if you have an older 1.0 or 2.0 Snappages website, nothing will be affected with this update. Your website will continue to be supported and appear online and you can keep updating the site just like you always have. The bad news is that SnapPages 3 is so dramatically different, that there was no way to make it backwards compatible with older websites. This was a very hard decision to make, but in the end, we know it was the right thing to do to as we move forward. Trying to make older websites compatible with the new system would have greatly limited what we could do with 3.0. If want to take advantage of the features of 3.0 you will need to setup a new 3.0 account and migrate your content over. We know you will have more questions about this, so free to contact us and we'll be happy to walk through them with you. SnapPages 3 looks great, but more info for those of us who are already using SnapPages would be nice. I am fine with rebuilding on the new platform, but does that mean that I have to purchase a second account? I just want to add to the above that I run several sites on SnapPages - two of the sites are for nonprofits. The sites are grandfathered in to the old pricing or have lifetime subscriptions. If I want to rebuild the sites, will I lose the grandfathered/lifetime pricing? While you will need to set up a new account in SnapPages 3, you will not need to pay for 2 separate accounts. Once you've transitioned your site over to the new version, please let us know and we'll be happy to help you cancel your old account so you're not paying for both the old account and the new one. Got it - but If I build new SnapPages 3 sites to replace my current SnapPages 2 sites, will the pricing of the old accounts transfer to the new accounts? I am running several sites that are under a lifetime membership, so they are already paid for, and a couple of other sites that are are at the pricing SnapPages offered before the last price increase - they are grandfathered under that pricing. I think I have emailed you but I have lots of blog post and it would be time consuming to transfer every single one by text and photos. Thanks for the feedback! We're hoping to come up with a solution specifically for blogs as this is really the most time consuming part of the process. We'll post something if we have any updates on this. Congratulation Steve and Ryan on V.3. My concerns are above. I have YEARS of version 2 blogs from various clients (BCab) that I can't possibly re-key over to v3. But I want to do this. Also what is the status of the video player on v3? Is it included? All my blogs incorporate vidz into the content. I have a lifetime subscription currently for V2 does this mean I will have to pay for v3 or will my subscription carry over? I have the same question as many of the above - if I transition to the new version, will our price increase or are we grandfathered in? Is there a offer for lifetime membership V2 users? I was informed that the V2 subscriptions will NOT carry over. You will need to buy a new subscription. Allegedly a new "lifetime" offer will be available at some point for V3, but I'm going to go ahead and guess that this V3 "lifetime" subscription won't be any more future-proof than the current V2 one (i.e. it's for the "lifetime" of the current platform version, but not for any future upgrades.) That's pretty weasel-like, so personally I'm bailing and will use a new host for all my future sites, particularly since I'd have to rebuild my current site anyway for v3. There's no incentive for current lifetime customers to stay -- drag-n-drop site builders are a dime a dozen. As a former Snappages customer (old snap pages), I really like all the improvements you guys have made to your platform. For my next website I will definitely keep you guys in mind. Will the content of my pages remain or do I need to rebuild them?